The worst thing that ever happened to Paul Whiteman's legacy was the 1930 film that dubbed him "the King of Jazz." Largely as a result of that unfortunate moniker he became an object of scorn among jazz critics, whowhen they remembered him at allcited him as a glaring example of the racism inherent in early jazz that would promote a mediocre white bandleader to the throne rightfully belonging to Louis Armstrong or Duke Ellington. 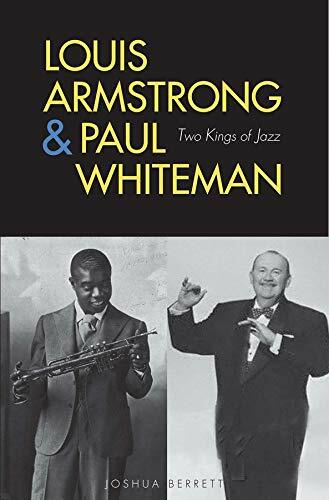 In Two Kings of Jazz, Joshua Berrett sets out to rescue Whiteman's reputation from the dustbin of history by comparing his life and career to Armstrong's in a sort of dual biography. It's a clumsy device but partly successful in highlighting Whiteman's important contributions in spreading the gospel of jazz to a broader audience. Whiteman was, indeed, one of the most popular jazz-associated artists of the 1920s in terms of record sales and income. And he did make some noteworthy recordings with the likes of Bix Beiderbecke, Bing Crosby and the Dorsey brothers. 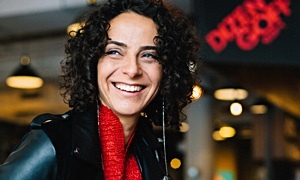 But Whiteman's agenda"making a lady out of jazz"; that is, making it acceptable fare for white concert hallswas hardly the stuff jazz legends are made of. As Berrett makes clear, Whiteman's main focus was not art but money. He "was primarily a businessman, an entrepreneur." A notable contrast with Armstrong, whose "life was his horn and his music." And despite the cordial relations Whiteman apparently had with many black artistsBerrett cites praise for Whiteman from Ellington and others, and an incident in which he offered assistance to Armstronghe was behind the curve in letting blacks into his band and didn't record an integrated studio session until 1942 when Billie Holiday sang with him. As for the comparison with Armstrong, it never really goes beyond the fact both men occupied the same general musical universe, crossed paths with some of the same musicians, and recorded some of the same songs. Berrett, of course, never claims that Whiteman was Armstrong's musical equal or that he had to overcome similar obstacles to achieve success. But he does suggest that there was a political component to how Armstrong "came to be written into jazz history as one of its greatest icons and a symbol of proletarian 'people's' music," while Whiteman was ignored. "Whiteman was a casualty of a socialist agenda," Berrett writes, "coupled with the heightened black consciousness" that emerged after World War II. Ultimately, though, it's all about the music. Whiteman may have been a pretty good bandleader and a decent enough guy, and he certainly doesn't deserve the derision that's sometimes heaped on him. But what's relegated him to a footnote in jazz history is not a conspiracy of left-leaning critics or some kind of reverse racism. It's the simple fact that his music didn't inspire the same passionate following as peers like Armstrong or Ellington or Goodman. He's not widely recognized today because his music didn't move enough people to keep it alive.